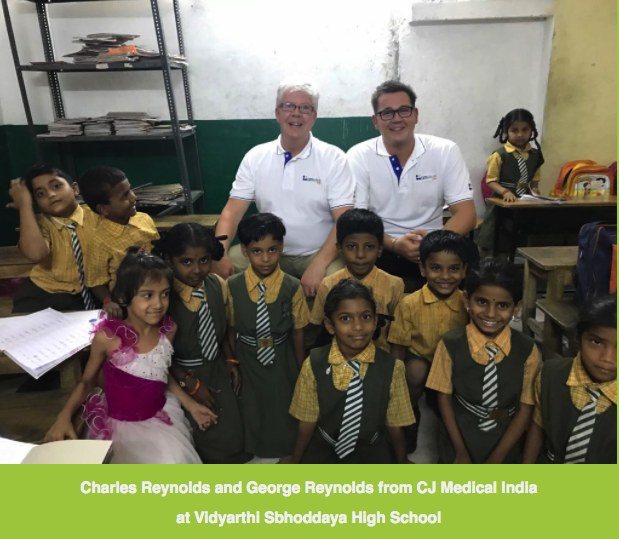 Vidyarthi Sbhoddaya High School receives generous donation from George Reynolds of CJ Medical India. 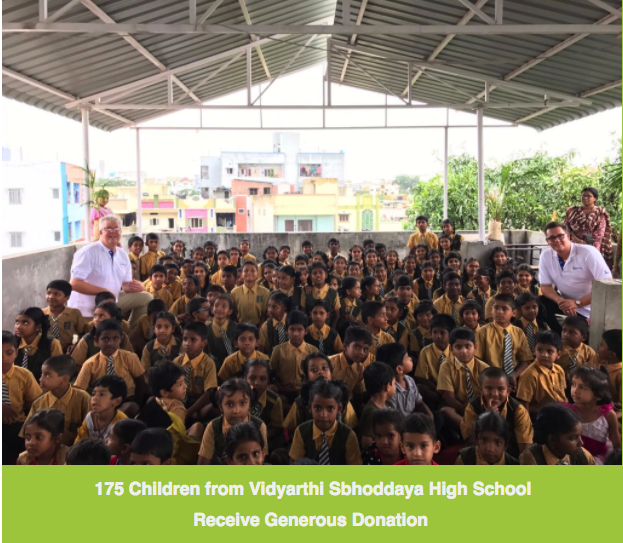 This enabled the school to buy much needed stationery which was distributed by George to each of the 175 children that range from kindergarten age to 10th grade. 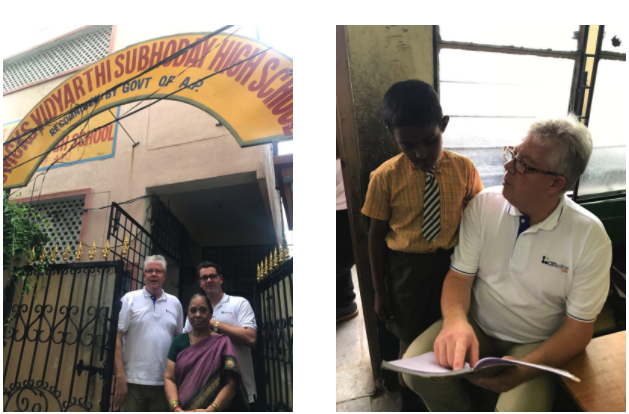 The School was founded In 1983 by Principal Dr C. Syamala and provides education to the children of local families. The foundation has educated many children that would otherwise grow up without the ability to read or write, providing a strong platform to the pupils along with excellent life skills. 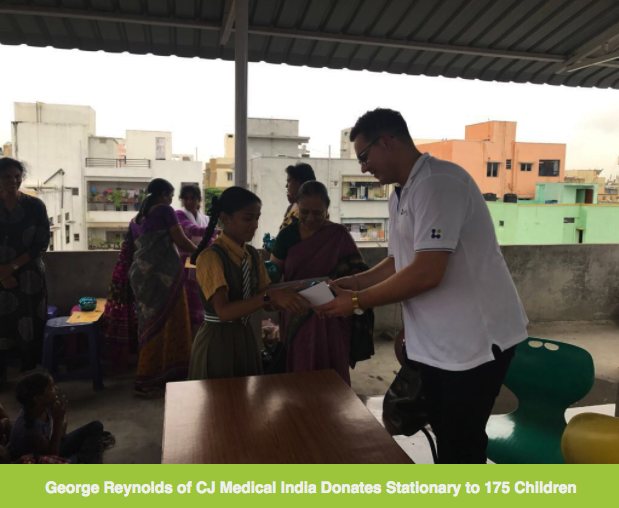 George Reynolds of CJ Medical India said: "The classroom work presented by the pupils in numeracy and literacy is to a very high standard, the pastoral care and nutritional support is exceptional, I am most humbled by how little can mean so much and go so far."